Vauxhall will reveal a new electrically powered two-seater concept car at the Frankfurt Motor Show next week which it says could revolutionise urban transport, particularly for younger drivers and those on a tight budget. 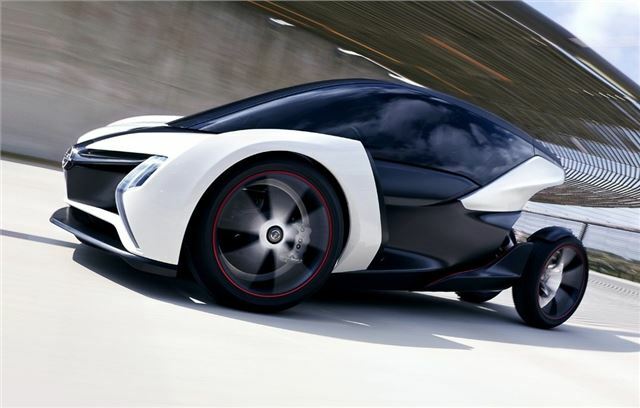 The radical concept car has 'production potential' according to Vauxhall and despite the striking looks, is designed to be practical with two seats behind each other. It's also light with a kerbweight around a third that of a modern small car. Inspired by the Ampera, it's powered by an electric motor and has a 60-mile range and a top speed of 75mph. The low weight would allow it to be agile and although designed for town and city driving, Vauxhall says even the odd motorway trip is feasible.